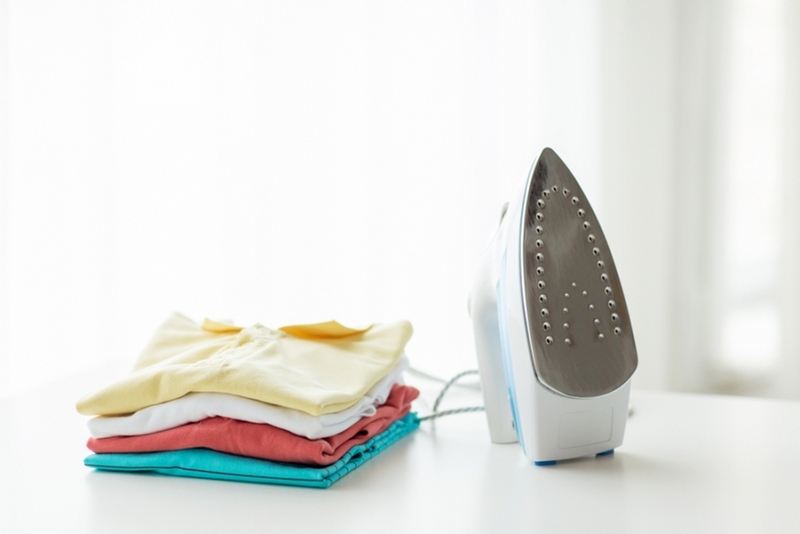 We all want to make our lives easier and sometimes certain appliances help us make it easier. Listed below are a number of appliances that will not make your life easier but, in some cases, help you save as well. Check them out! 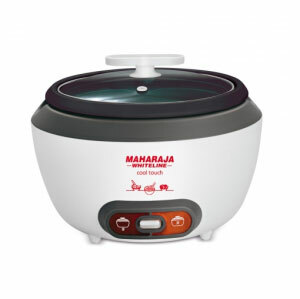 Perfect for a number of preparations, be it a delicious pulao, mouth-watering khichidi, sinful kheer, or spicy steamed veggies, the Maharaja Whiteline Cool Touch Multi Cooker is a must-have for every household. The powerful 1.8 litre capacity multi cooker can also be used to keep your food warm. 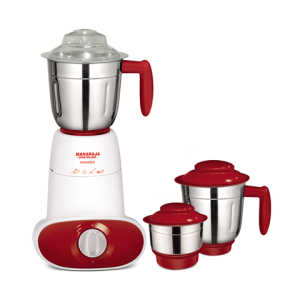 If convenience is what you’re looking for, then Maharaja Whiteline’s Maestro Mixer Grinder with its convenient 3-in-1 attachments is just what you need. With a power range of 600 watts, it also boasts of an accompaniment of 3 heavy duty stainless steel jars with super sharp blades suited for any kind of mixing or grinding. It also has an angled panel that allows easy access. 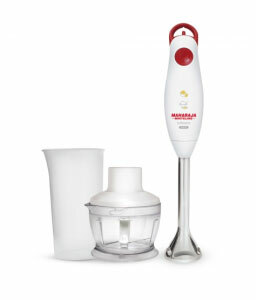 Perfect for juices, chutneys, smoothies, mocktails and many more, the Maharaja Whiteline Turbomix King Hand Blender is convenience personified. Its hanging loop also makes it easy to store and allows for easy accessibility. Living as a paying guest or in a rented apartment and are you tired of eating out of restaurants? 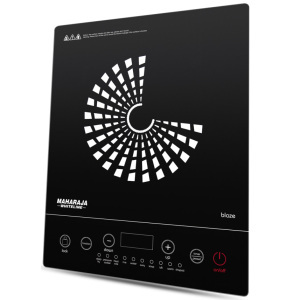 Maharaja Whiteline’s Blaze Induction Cooktop will come in to save the day. Compact and easy to store, it comes with 10 pre-set Indian menus and is also energy and money saving. We’re guessing that this would end almost half of your woes. 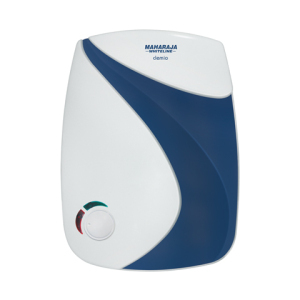 Move over the bulky and ordinarily designed water heaters and opt for Maharaja Whiteline’s beautifully designed Clemio Storage Water Heater. Apart from its exclusive design, the Clemio Storage also boasts of a unique glassline tank coating, an 8 bar working pressure as well as energy efficiency. In hurry to leave for work or a party, but your outfit looks creased and wrinkly? 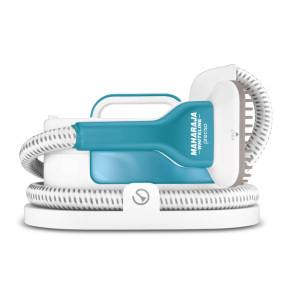 Maharaja Whiteline’s Preciso Garment Steamer will take care of that for you. With its powerful vertical steam it will quickly and efficiently remove all wrinkles, sanitize and remove odor and have your outfit ready in 2 minutes. It has five attachments that come along with it, for different requirements: Fabric Brush, Upholstery Brush, Lint Pad, Door Hook and the Crease Attachment. Looking to get a superior quality press on your garments? Opt for Maharaja Whiteline’s Aquao Dlx Steam Iron that boasts of world class technology that can provide perfect ironing. 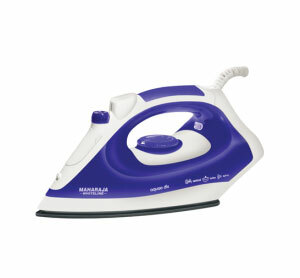 The high steam rate, vertical steam and superior quality steam shot only add to the many qualities that this steam iron possesses.